Elder Xavier Maestas; Peru Lima East Mission: Peru! Goodbyes! Birthday Party! So i saw Keegan when he first walked into the MTC! it was just for like 10 seconds cause you have a lot of crap to do when you first get here but he looked good! I really hope i can see him before i leave!! The Peru T shirt is from the book store here, you just go in there and tell them what mission and they order it for you! Its pretty sweet, it was only like 7 dollars! I cannot believe that my visa is here, everyone else besides hermanas Gale and Gifford are getting reassigned, ill be with those hermanas on the plane which will be pretty sweet. My flight leaves to Georgia at 831 am so the call will probably be a little be before them or when I'm in Atlanta around noon! so be expecting that, hopefully we'll be able to talk for a good amount of time! That picture that you took of Mercedes is so funny! we kinda do that to each other here which is pretty funny! Let everyone know that I love them! I love hearing about whats going on in the outside world! I can't believe that about the canal over by Tate's! was Tate's flooded? i hope everyone is okay, that sounds so bad! Reinharts birthday went great and everyone said to tell you thank you for the present because we just kinda gave it from all of us!! My mission blessing is awesome! I probably cant print it so hopefully you can send it today with the hair stuff! I love you mom! Thank you so much for all of your support! 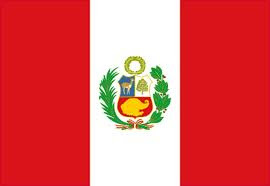 Gosh its crazy that I'm actually going to Peru now! Oh so i was going to tell you guys, There is a sister in our home mission that just left yesterday from my zone. Shes Spanish speaking but her name is hermana zufelt! You probably wouldn't be able to see her but it would be pretty cool cause i know her! So the other night after the Tuesday devotional we were having our district meeting with the presidency and afterwards the wife of one of the counselors comes up to me and says " Elder Maestas I've been thinking about you" and i was seriously just like oh great what did i do now, cause it was really weird. But she said " last time we were here i just really saw how well you were listening to me when i was sharing my thoughts, you seemed so interested and were so supportive of me. I just realized that you were going to be an amazing missionary if you continue to show that kind of love every time you hear your investigators and people talk" gosh it was really so uplifting to me! And that was after i had gotten my travel papers! Just an awesome day! Make a list of questions if you have any about travel and all that. I will be going directly into the field it says on my papers! Read the passage i told Mercedes to read! It will really help you with anything, not just with knowing the book of Mormon to be true but knowing anything! Please take care of yourselves and be safe. I love you all so much! Xavi's said "Earliest Birthday Party I've Ever Been Too"
Everyone splitting up to go to their temporary assignments! Xavi has meet so many new friends at the MTC! He has loved his time at the MTC but they are ready to move on! "Flying High" in front of the Provo temple! Great post! My daughter will also turn 21 this month. I think I must plan a surprise party for in an event space NYC nearby. She always loved surprises. Anyways, it was lovely going through this blog. Happy birthday to the boy, I am sure you all had great fun.